Go here to register your team: https://jtwingsforwishes.com/registration-info/! If you haven’t put your team together yet, no worries, there’s still time. Team Registration ends July 23rd. 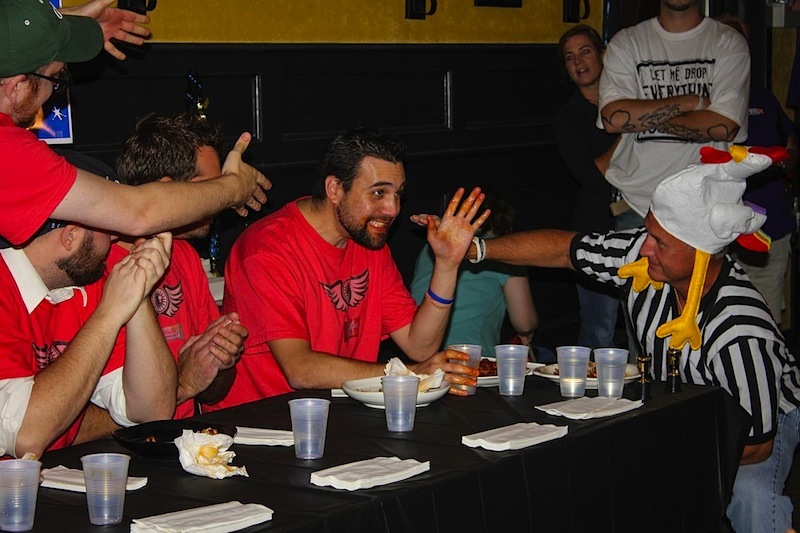 Here are two teams from last year’s Championship, having a fun time for a wonderful charity. This could be you (and your friends, family, and/or co-workers!). A BIG Check! $19,000 rasied in 2013! 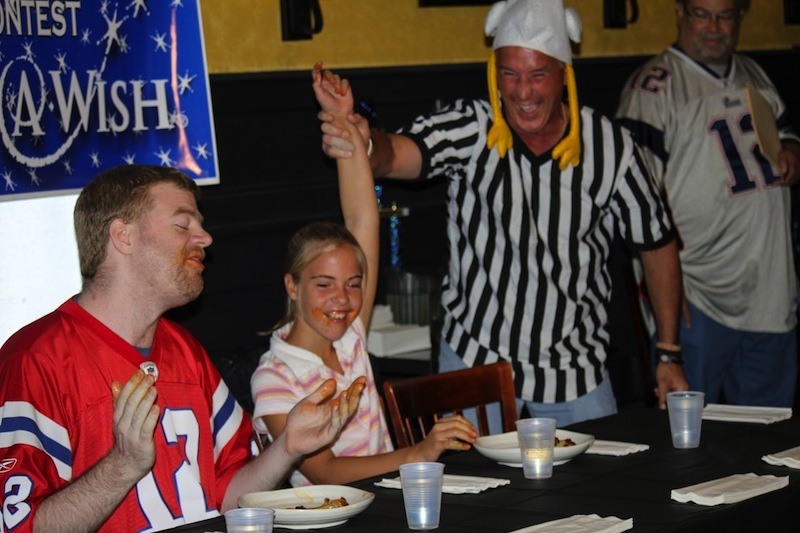 L-R: Michael Dominick, Make-A-Wish, Greg Gardner & Mallory Beddows, J. Timothy's. Like us on Facebook to follow all of the action! The Finals – Championship Night! The Champions – The Wing Men!